Thank you to the publisher for sending me this book in exchange for an honest review and for also allowing me to take part in this blog tour. A single wish will spark a new dawn. Every millennium, one age ends and another age dawns...and whoever holds the Scroll of a Thousand Prayers holds the power to call the great Kami Dragon from the sea and ask for any one wish. The time is near and the missing pieces of the scroll will be sought throughout the land of Iwagoto. The holder of the first piece is a humble, unknown peasant girl with a dangerous secret. Demons have burned the temple Yumeko was raised in to the ground, killing everyone within, including the master who trained her to both use and hide her kitsune powers. Yumeko escapes with the temple's greatest treasure - one part of the ancient scroll. Fate thrusts her into the path of a mysterious samurai, Kage Tatsumi of the Shadow Clan. Yumeko knows he seeks what she has and is under orders to kill anything and anyone who stands between him and the scroll. Every millennium one age ends and a new one days and whoever holds the scroll of a thousand prayers has the power to call the great Kami Dragon and ask for one wish. Missing pieces of the scroll are placed throughout the land of Iwagoto. The first pieces lies with Yumeko, a peasant girl with a dangerous secret. When demons burn the temple she was raised in to the ground, Yumeko escapes with the temple's pieces of the scroll, where she bumps into Kage Tatsumi, of the shadow clan, who seeks what Yumeko. Yumeko must act fast as he is under orders to kill anything or anyone that stands between him and the scroll. 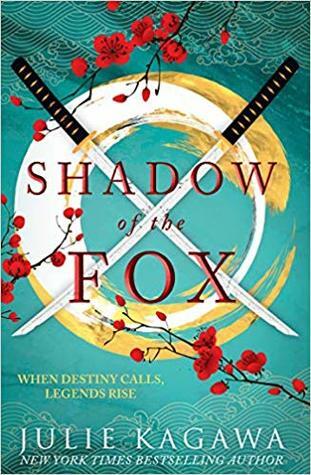 As some of you may know I do love a good, high YA fantasy and when I found out about Shadow of the Fox I was instantly intrigued - firstly by the cover (isn't it gorgeous!) and secondly by the fact that it was going to be based on Japanese Mythology. As someone who had never read any fantasy with this concept I knew I was going to be in for a treat. 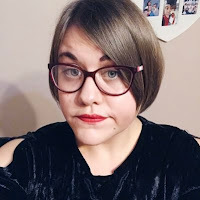 This was such a unique take on the YA fantasy genre. First of all, lets talk about the Japanese Mythology within the book. I am someone who went into this blind, not know anything about the mythology and I'll admit I wish I'd done a little bit of research into it before picking up this book. There was a lot to take it with the names of different creatures and legends and this did cause confusion at times. Granted there was a glossary at the end of the book with details about everything, but if it had been at the front then I might not have become so confused. At times I found myself pausing what I was reading to look up the name of a certain creature. However, this may not be the case with someone who has knowledge of Japanese Mythology. Shadow of the Fox is told through multi perspectives and I do love this way of storytelling. There's just something about getting to know multiple characters in depth throughout this form. We follow the perspectives of Yumeko, Tatsumi and Suki (an ex-servant girl now ghost). Although for most of the story we mainly follow Yumeko and Tatsumi. In my opinion a multi perspective form of story telling was perfect for this book, as each character had different goals/came from different backgrounds and it just made their characters more fleshed out. The world building was incredible I must say - everything was planned out perfectly and it created such an atmosphere when reading. The descriptions had me imagining this fantasy world perfectly and at times it just felt so vivid. The pacing of the plot, itself was rather slow at times - but as this is the first of a trilogy I was expecting that. Mind you, once the paced picked up so did the action and this was when I was hooked and the heart started racing. It also had this darkness to it that just added to the atmosphere. We didn't get much light heartedness in Shadow of the Fox but when we did it was a real treat. Yumeko was a rather naive character but I put this down for her living in a temple for all her life and not knowing much about the outside world. Some moments with her were quite amusing and had me slightly chuckling. Her relationship with Okame, a Ronin (Rogue Samurai) added some comic relief to the story and I hope we get to see that relationship built upon in book two. Kage Tatsumi was a very complex character and I feel like there's more to know about him, which yet again, I hope is touched upon in book two. There were hints at a romance between him and Yumeko, but I didn't feel any chemistry there? This overall was a good thing as I feel like a romance would have distracted readers from the main plot line. Shadow of the Fox was a good start to what I hope is going to be an interesting, action packed trilogy. I am really intrigued to see where the story will go from here, so, will be picking up the sequel when it is released.